Learn how to play one the most widely enjoyed casino card classics in our step by step guide. 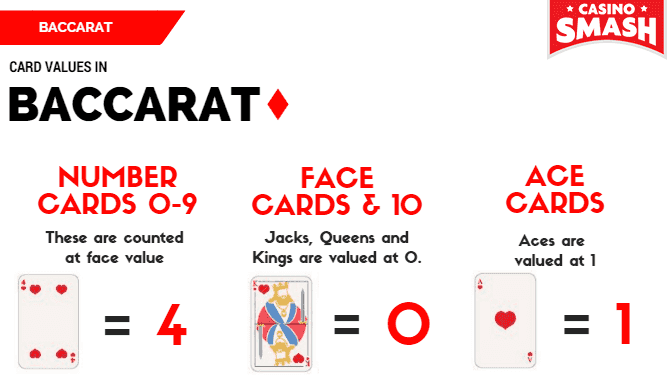 From basic rules to winning strategies, you can find everything you need to about baccarat below. Baccarat, which is also known as Punto Banco, is one of the most popular games in any casino – from the floors of Macau to the online tables on CasinoSmash. This casino classic is surprisingly simple as the main objective is to predict which of two hands, Banker or Player, will come closest to nine. 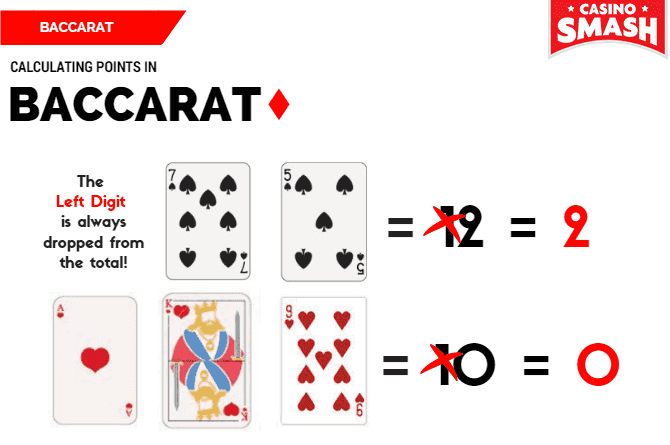 The gameplay of baccarat is incredibly simple, you have a dealer whose hand is the banker’s, one selected player whose hand is the player’s, and up to 12 or 14 players who place bets on which of these two hands come closer to 9. The dealer begins by drawing four cards from the shoe face down. The first and third cards goes to the Player hand, and the second and fourth cards to the Banker hand. The dealer then turns over both hands. If neither hand has a natural 8 or 9, then a third card must be drawn by the dealer, and this is done based on a very strict set of rules which we will explain after you become more familiar with the board and bets of this classic card game. There are three types of bets in Baccarat: the Player, Banker andTie which is also known as the Stand-Off bet. 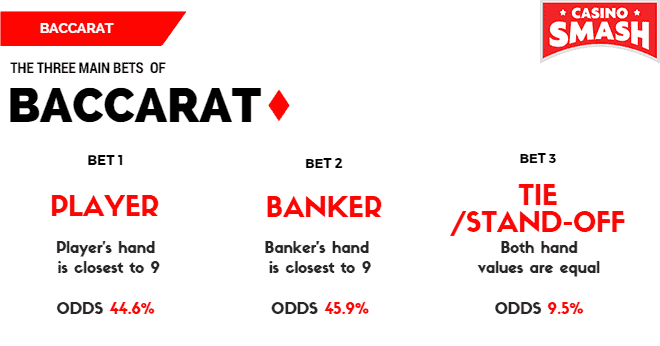 The Player bet assumes that the player will win with a hand closest to 9, the Banker bet predicts that the banker’s hand will end up closer to 9, and the Tie bet predicts that the hand values will be equal. In terms of payouts, each bet pays out at a different rate. Keep in mind that the house always tries to leverage their advantage and while the Tie bet may seem like the most profitable, it also has the lowest winning odds! Winning Tie wagers (a.k.a. Standoff) are paid 8:1. 2-9 retain their face values. 10, Jack, Queen, and King all have values of zero (0). Example 1: A hand of "King-3-4" has a point count of seven (7). Example 2: A hand of "Queen-5" has a point count of five (5). Example 3: A hand of "9-5-9" equals 23, and this is where it gets tricky: because we drop the left digit the actual point count is three (3). 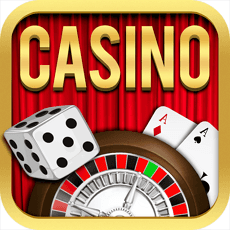 Thanks to the massive demand for this casino game, any half-way decent online casino offers at least a few versions of the game and, sometimes, even multiple live versions. If you are look for a legit and high recommended online casino to play in, you can find some incredible, and exclusive, deals at out top picks here. If you are interested in playing for fun first, you can also play demo versions at most online casinos if you to get some extra practice before playing for real money. 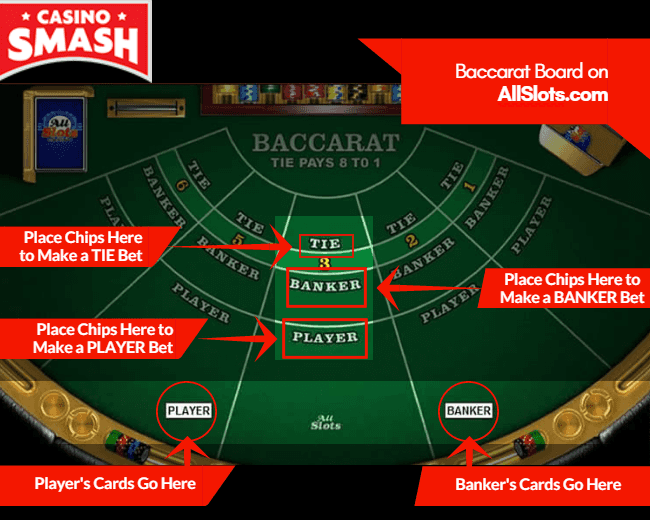 Now that you understand the rules of this casino classic, you may have concluded that baccarat is purely a game of luck thanks to the simple draw or stand game play. Fortunately, that is not true! Winning is always a matter of probability, and there are always systems and patterns that can help you boost those odds in your favor. You can find a guaranteed winning strategy here as well as a guide to the well-know Flat Betting strategy here. You should also take a quick look at somesimple yet effective baccarat tips here to help you become a real pro at this incredible casino game!